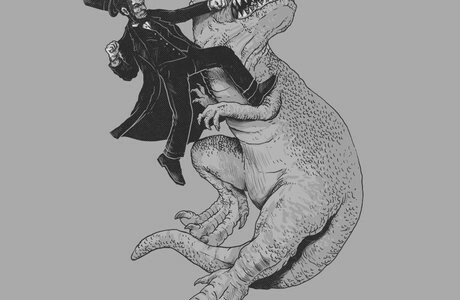 If President Lincoln can time travel with Bill and Ted who is to say that he couldn't fight dinosaurs? We've already seen him hunt vampires and taken on slavery. It is no wonder Tyler Durden wanted to fight him. This artwork is funny for it's sheer stupidity. It is a well drawn monochromatic piece. There are no major shadows or coloring as this is just a fun illustration and it shouldn't be taken too seriously. It works because it takes two iconic symbols from different time periods and pits them together. 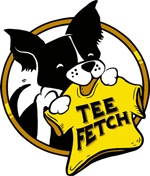 The Abraham design is ideal for casual events and elections. Wear it to museums or history class. Then watch everyone's reaction to the shirt. Abraham Tee Design by Alex Solis.